The territory occupied by the Embassy is own by the represented country. Its mission is to promote the interests of his country in the host nation, promoting friendly relations between the two countries, promote economic, cultural, scientific, etc, making state visits, both commercial and political treaties, among many other functions. The diplomatic mission and diplomatic agents have the privilege of exemption from all dues and taxes from the receiving country and duty-free importation of goods and articles intended for their use. They are also protected by this housing inviolability of diplomatic agents. We have deeply investigated the official web sites of every country to offer you the closest Consulates in Cyprus you will need to solve the efforts you have outstanding. The Consul will be the person who heads the Consulate. Sometimes functions as a delegation from the Embassy, where they collect the steps which might be taken to the Embassy, and other necessities. Diplomatic missions open and close consulates from time to time in accordance with the demand of citizens in every region, so the list of Embassies and Consulates in Cyprus that we're showing you below might change. Assessment the content of this page to get the address, phone and contact details of all the Embassies and Consulates in Cyprus and nearby cities. Access to this section for a detailed listing of all Chinese consulates, embassies and representative offices situated near Cyprus. ConsulBy supplies all Indian citizens with an updated and verified list of all Indian consular offices so they could contact them with any unexpected circumstance while in Cyprus and its surroundings. Have a look using this link a collection of all US embassies and consular offices placed around Cyprus, just in case you'll need assistance while you're abroad. Check the Nigerian diplomatic mission in Cyprus, responsible for offering assistance and support to any Nigerian person whilst they are visiting the country. Access to this section to get a detailed listing of all Russian consulates, embassies and representative offices located near Cyprus. ConsulBy supplies all German citizens with an updated and verified list of all German consular offices so they are able to contact them with any unexpected situation while in Cyprus and its surroundings. Have a look utilizing this link a collection of all French embassies and consular offices placed around Cyprus, just in case you need assistance when you're abroad. Check the British diplomatic mission in Cyprus, responsible for providing assistance and support to any British person whilst they're visiting the country. It is nearly impossible to visit Cyprus bypassing Famagusta (with 42.526 inhabitants). ConsulBy currently has an extensive catalog of Embassy in Famagusta and surroundings. We have classified all embassies by nearest town. Given that Limassol is among the six largest cities of Cyprus, with approximately 154.000 inhabitants, it really is likely that hosts various consulates. Problems with Cyprus authorities? Contact immediately with any of the diplomatic missions borwsed for Larnaca to find the best resolution using the local authorities. Diplomatic missions are usually in populations with greater number of inhabitants. With 35.961 residents Cyprus is one of the most influential centres of population Cyprus. One in the busiest centres of population Cyprus is, with out any doubt Kyrenia with 26.701 inhabitants, making it a very good candidate to host one or more Diplomatic Mission in Kyrenia. The embassies and consulates situated in Cyprus and exist to help their compatriots to solve any problem as if they were back house. 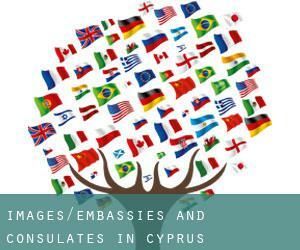 Follow the link to find out all Embassy in Nicosia and its surroundings.